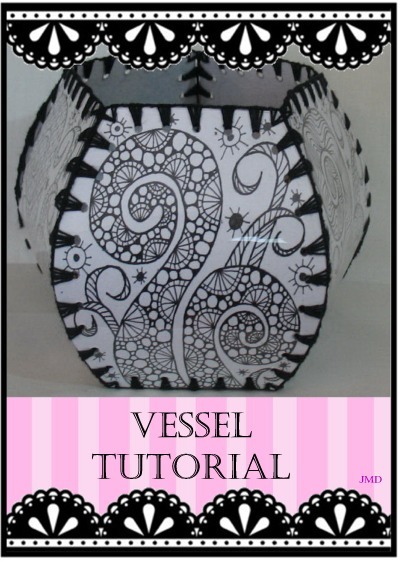 Below are free tutorials or projects in many styles of arts and crafts. Keep checking back. Get updates via my 'JMD Designs' Newsletter or Facebook. 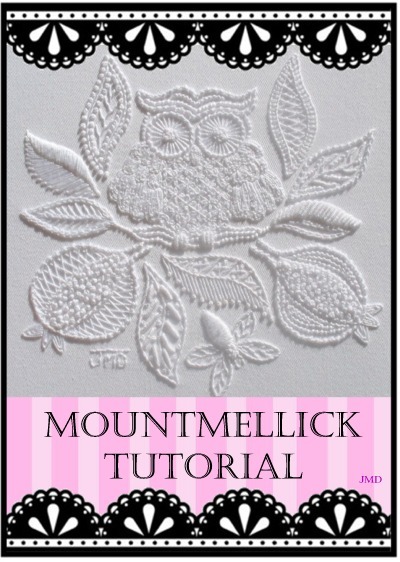 Learn about Mountmellick Needlework. 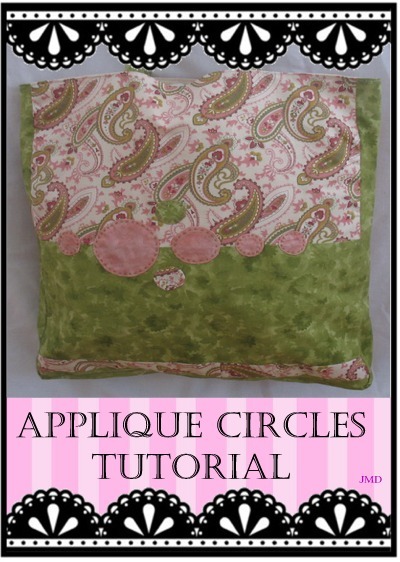 This Irish Mountmellick embroidery is over flowing with traditional embroidery stitches. 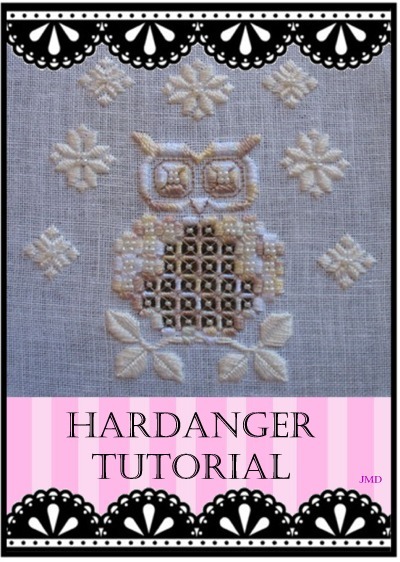 Learn about Raised Elizabethan and Padded Needlework. 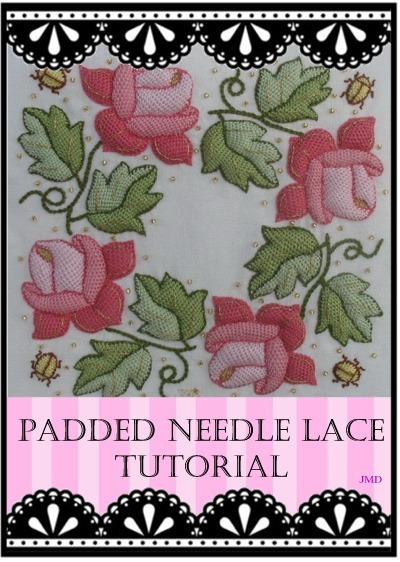 With the use of Needle Lace the designs are raised up off the fabric to enhance it’s beauty. 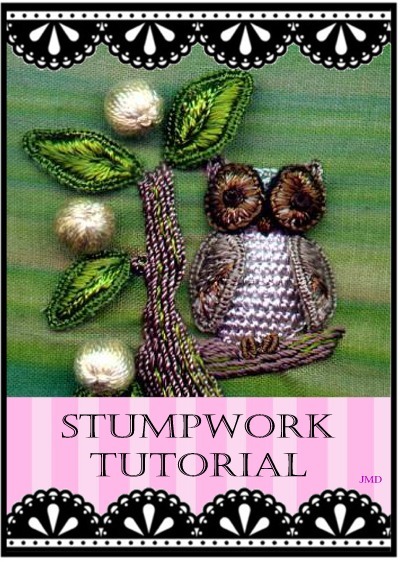 Learn about Stumpwork Needlework. 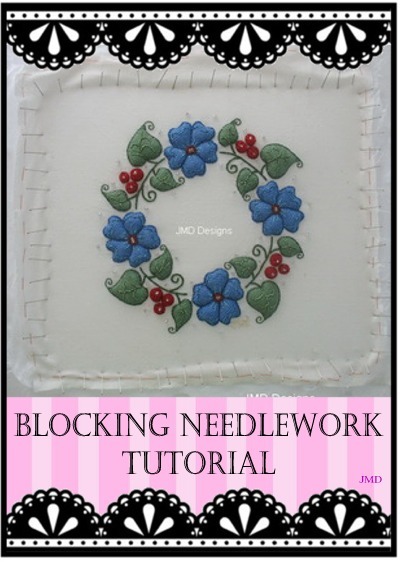 Structural designs make Stumpwork embroidery sits on top of the fabric with wire and padding. 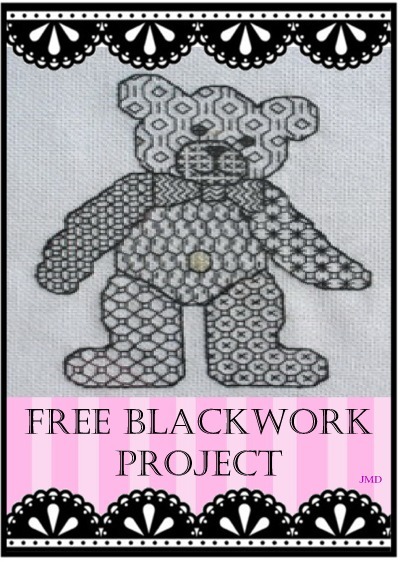 Learn about Blackwork Needlework. Counted thread geometrical fillings from the Tudor Era. 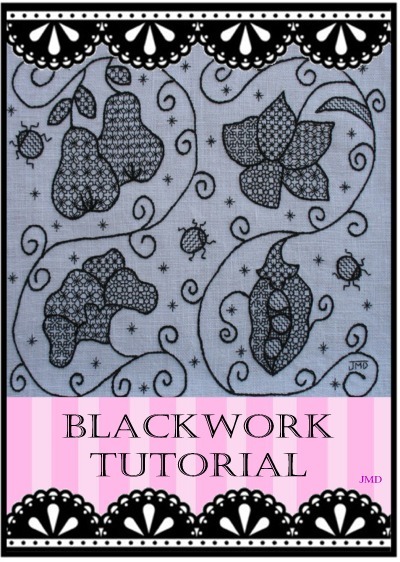 Learn about Schwalm Needlework. 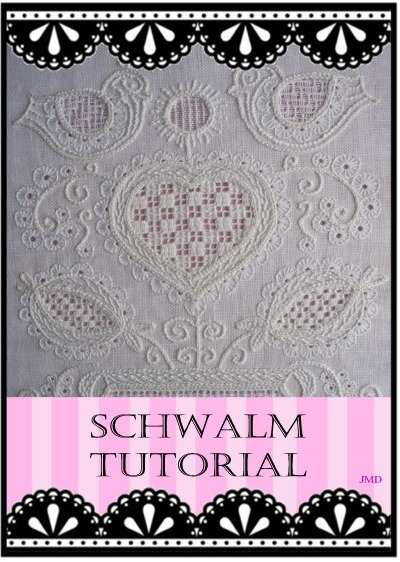 Schwalm is a German embroidery, with cut and pulled thread lacy fillings.